The P3 Blueprint for the Academy of Social Entrepreneurship is on a mission to train heart-centered, purpose-driven entrepreneurs with a desire to create financially successful conscious businesses and positively impact the world. We help academy members become bigger difference makers while building business. with understanding your WHY! Knowing the reason(s) WHY you want the business you have, who you serve, and how you can serve to the highest degree is the 1st premise of the P3 Academy. We are redefining social entrepreneurship in a way that opens more doors the small business owner, to have more business to have more of the life of your dreams, and do more good in the world. — Struggling to figure out WHY you’re doing what you’re doing in your business? — Do you have a planned strategy for moving your business to the next level? — Are you searching for a better system, any successful system to make doing bigger business easier? — Want to HAVE a lifestyle business? — Don’t think you DESERVE a lifestyle business? — Is it IMPORTANT to help more and make a difference in the world? BE THE CHANGE WE WISH TO SEE IN THE WORLD! The concept and definition of “social entrepreneurship” has evolved especially in the last 5 to 7 years, especially for the small business owner, the solo-entrepreneur. Most people think of social entrepreneurship as being of and related to addressing social causes by not-for-profit businesses. It has meant helping with the donation of money and/or time to participate in someone else’s mission to help others. The challenge placed before us now is to shift that thinking by awakening to the awareness of the fact that for-profit businesses that identify and make a difference with involving themselves in addressing social issues are those who have the greater potential to do more business, and to reach a wider audience. It also identifies the for-profit small business owner as the caring enterprise that is attractive to others. It shows we care and how we care, as well as what we care about. It has often been that we participated in addressing how we contribute to relieve poverty, illiteracy, starvation, and more in our own communities and around the world because of corporate involvement. Now, we want to know more about how we can participate because we see the greater good that can be done by us on an individual level, outside of the corporate environment. Founded in 2003, WWP raises awareness and enlists the public’s aid for the needs of injured service members, helps injured service members aid and assist each other, and provides unique, direct programs and services to meet their needs. Let’s help a Vet build a business! Much of the awareness discussed is coming about through the awakening of crowdfunding and the opportunities it has provided in giving local and global help. The other aspect is how intentional crowdfunding is that allows for many to make more of their own decisions about where their contribution of time and/or money goes to. The movement continues to grow. We examine how that happens further down this page. Social Entrepreneurship often describes anyone who starts a not-for-profit organization. Newer associations refer to social entrepreneurship as business owners who integrate social responsibility into their operations. A perfect example of how the New Social Entrepreneurship works is the company “TOMS Shoes“. TOMS is an organizat ion that began as a non-profit who quickly understood the value of the non-profit/for-profit partnership. Intent on finding ways to make giving easier and with a means to grow, TOMS shifted their stragtegy. They began a for-profit business that fuels the mission of the non-profit’s giving. Because of this shift, TOMS is a thriving venture, both the non-profit and the for-profit. As TOMS has grown, they have gone from just the efforts of their One-to-One gifting program to the expansive collaborative efforts through the Start Something That Matters Program. They are not only an enterprise putting shoes on the feet of those in need, and bringing sight to those with visual challenges, especially children, they are providing jobs and changing economies in the areas of the world where they have a presence, or are being drawn. In 2013, TOMS Marketplace was launched, a platform created to help social entrepreneurs succeed. The companies featured in Marketplace are handpicked by TOMS, and they experience an interview process that includes a review of their business practices and giving philosophies. These companies range from small start-ups to established organizations, and they give everything from water and medicines to school supplies and soccer balls to people in need. While each company is different, they all share the belief that business can be used to improve the lives of others. As TOMS continues to expand, they are making strategic partnerships that further their agenda in a powerful way. TOMS Giving products and services are a small part of the larger community development programs run by their Giving Partners. They look to these partnersas the experts in the field, who put TOMS Shoes, Sight, Water, Safe Birth and Bullying Prevention services to the best use. It’s time we all played a bigger game and the collaborative, partnering model of TOMS is a great example of how it can be done. To redefine the meaning of social entrepreneurship for the for-profit small business, expanding opportunities through defining purpose to include addressing social causes through collaboration, strategic planning, and implementing that plan to create more prosperous, healthy, sustainable businesses, lives and the world. 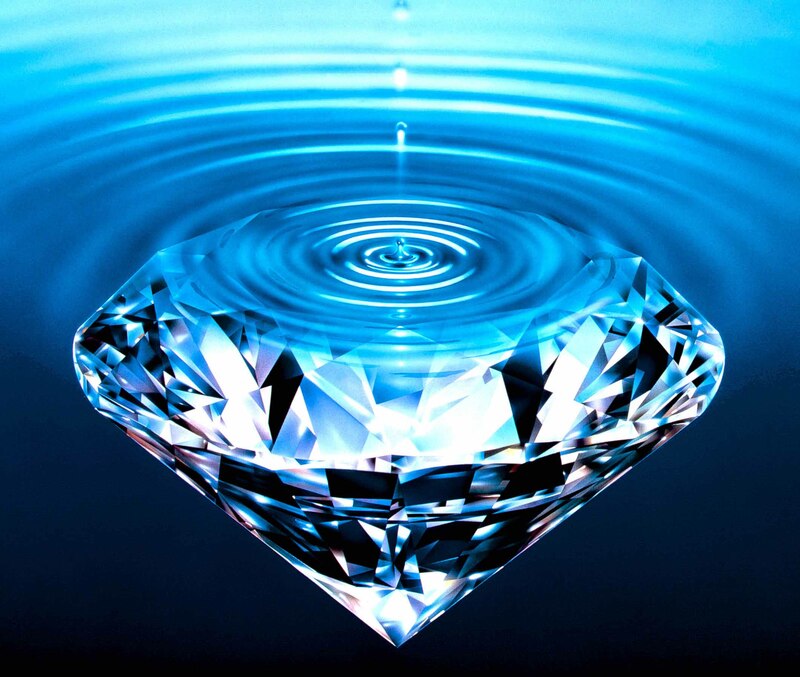 The Awakening and Emerging Into Something Better in Business, Life and the World! The place where Savvy Social Entrepreneurs can find the support to grow their business enterprise with ease, resulting in greater profits and the ability to live a more prosperous lifestyle, while helping others do the same, from the local community to reaching around the globe. 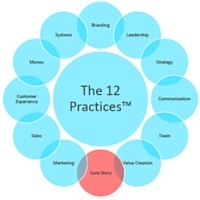 Through our holistic approach to transforming business and inspired by Rick Justus’ 12 Practices(TM), in the 5 Tiers of business acceleration and strategic development, we create massive results. Our intention is to bring every business through the 5 Tiers and focus on those business elements requiring the most attention to get the most rapid results. It brings a 10X shift in business, not 10% but rather 10X. In the P3 Academy, we focus on 3 Key Pillars of Business Mastery as we develop your business with a plan for the future and the prosperity you deserve. In the past, many commercial enterprises considered themselves to have social objectives, but their commitment to these objectives had been motivated by the perception that such commitment would ultimately make the enterprise more financially valuable. While that is the larger consideration, it is the latter motivating factor. Today, the validity of the social commercial enterprise is being redefined to shift the perception and the purpose, making their social objectives of a greater focus and ties those objectives more tightly to the vision and mission of the business. Previously to now, social enterprises differed in that, inversely, they do not aim to offer any benefit to their investors, except where they believe that doing so will ultimately further their capacity to realize their social and environmental goals, the truer sense of the non-profit organization. There has also been a recognition from the larger social enterprises (foundations and other charitable organizations who give to those doing service) who recognize that small business and entrepreneurs add great value as the provider of not just the hands that do some of the volunteer or provider work, they have the business ventures that can cause the involvement of others who collecting, collaboratively can make a difference in supporting their work in addressing social issues. There are a few really good sources that discuss the social enterprise and why it matters that this vehicle for making the world a better place be of such great focus. Ms. Hawkins recently spoke to a group of entrepreneurs and several of the comments that were brought up were around how in the past, some of these entrepreneurs participated in social causes, mainly from a community perspective. They noted, when the economy changed, that was the first thing in their world that changed because focus was more on their own survival. Where are things now? That is the question that the P3 Academy of Social Entrepreneurship has been designed to answer by identifying the previous trend, and prompting thought around the emerging trend and evolving definition of social entrepreneurship. Our vision to is increase awareness and provide a means for small business to re-engage in these important endeavors without risking the loss of their own sustainability and growth. Here’s information from ManagementHelp.org that gives more of a glimpse into the definition of a social enterprises, the reason it matters being one and added to that, we invite you to ask the question about what more you can do. Social enterprise is scalable. Like all businesses, social commercial enterprise has, with investment and sales revenue, the ability to have continued sustainable growth to meet the needs and priorities of the communities it serves, as opposed to traditional nonprofit programs, which are all too often limited to the funds available from government and philanthropic funders. The answer becomes everything from outsourcing to help grow other businesses that become the resources that are needed to expand reach, or deliver messaging, products, or services; to helping to bring a greater awareness to a social cause/issue that helps bring individual and other funding contributions to aid in its cure. Building the strategy for success is an amazing endeavor that leads to an exhilarating end and a rewarding project to be a greater difference-maker. Wikipedia describes this new form of business, Social entrepreneurship (Social Preneurship), as “the work of a social entrepreneur.” A social entrepreneur is someone who recognizes a social problem and uses entrepreneurial approaches to organize, create, and manage a venture to create social change. Whereas a business entrepreneur typically measures performance in terms of financial return, a social entrepreneur assesses success in terms of the impact s/he has on society, [as well as the financial return]. 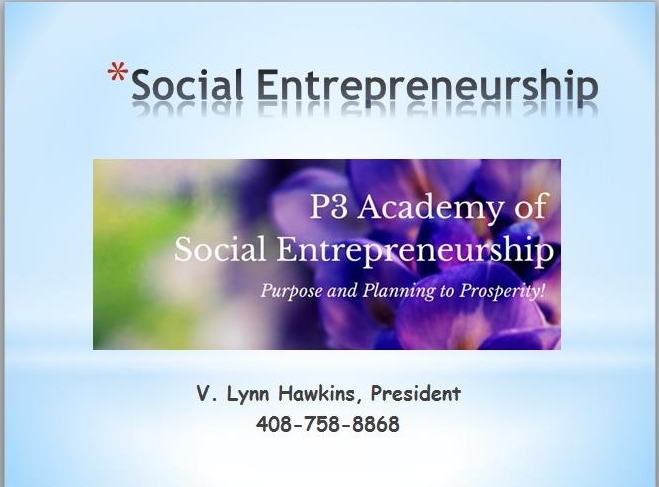 The P3 Academy of Social Enterpreneurship is a Social-Preneurship. Our purpose is to create more awareness around the emerging concept of successful social-preneurship and help those who have a desire to be difference-makers in a world with many needs, to do so with ease. Expressing compassion for others through a creative system of delivery of products, services and messaging can be done in masterful ways and we have a vision of causing mastery in the 5 areas of business and life that lead to a full life and a world with a greater capacity for global love, peace, and prosperity. To assess your goals and how to become more of a socialpreneur, contact us to arrange your complimentary strategy session. We will discuss your business, your dreams and desires, and we’ll talk about a plan you can begin implementing right away. Thank you for your interest in socialpreneurship and the P3 Academy of Social Entrepreneurship.